16 Young Champions of Maternal Health Selected and Announced! On June 17th, the Maternal Health Task Force at EngenderHealth and Ashoka announced the 16 winners of the Young Champions for Maternal Health competition. The 16 selected Young Champions are set to participate in the first-ever international mentorship program focused entirely on nurturing a new cadre of entrepreneurs dedicated to improving the health of women around the world. Each Young Champion has been paired with an Ashoka Fellow with expertise in maternal health—who will mentor the Young Champion over a period of 9 months and help them to develop their winning ideas for improving global maternal health. Click here to meet the winners and their mentors! At an exciting press conference yesterday to announce the 16 winners, the mentorship organizers were joined by one of the pairings: Yeabsira Mehari of Ethiopia and her mentor, Ashoka India Fellow, Glory Alexander. Tim Thomas of the Maternal Health Task Force and Neema Mgana of Ashoka talked about the strengths that the Maternal Health Task Force and Ashoka bring to the partnership. They explained that the Maternal Health Task Force brings solid expertise in the technical ‘ins and outs’ of maternal health and a vast network of partner organizations working in maternal health advocacy, policy, program implementation, and research while Ashoka brings a remarkable capacity to support and integrate social and business entrepreneurs around the world. Tim Thomas explained that improving global maternal health is a persistent challenge—and one that will need to be tackled via multiple sectors. Tim pointed out that the Young Champions have big and innovative ideas for improving maternal health—and that the Ashoka Fellows will play a crucial role in teaching the Champions about social entrepreneurship, building sustainable infrastructure, and how to ‘scale up’ global health projects—so that their big ideas can result in real and lasting impact. Ashoka India Fellow Glory Alexander works to end stigma and discrimination associated with HIV/AIDS in India. Her organization, ASHA Foundation, focuses on prevention of mother-to-child transmission of HIV/AIDS and primary prevention for vulnerable women. Aside from learning about social entrepreneurship, sustainability, and ‘scale-up’, Yeabsira is excited to work with Glory to develop expertise in engaging with and helping to empower stigmatized populations. She anticipates that many of the lessons she will learn from working with HIV/AIDS patients in India will be transferable to working with fistula patients in Ethiopia. As the press conference wrapped up, Tyler Spalding of Ashoka asked Neema and Tim how they will determine if the Young Champions for Maternal Health program is a success. Neema explained that they have already seen success—they have identified 16 extremely talented young and innovative thinkers who are committed to becoming the next generation of maternal health professionals and thoughtfully matched them with leading Ashoka Fellows with proven expertise in maternal health. 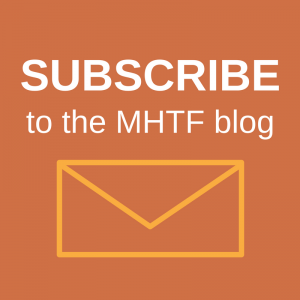 The MHTF and Ashoka look forward to nurturing and encouraging them along the way! 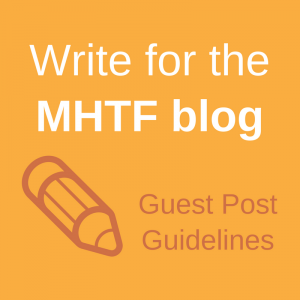 For now, stay tuned to the MHTF Blog and the Ashoka website for updates on the Young Champions and their projects! Congratulations Young Champions for Maternal Health!